Here’s your host, Chris Panebianco. 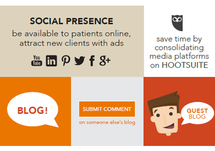 Welcome to episode 6 — four easy ways to boost marketing for your medical practice. As a medical professional, you’re in one of the most competitive times the healthcare industry has ever seen. According to Healthcare Recurrent Network healthcare is now one of the fast growing industries. Modern Healthcare Magazine reports that demand for healthcare is expected to pick up even more as the population ages, people live longer, more consumers gain insurance, and chronic conditions become more prevalent. All of this begs the question. 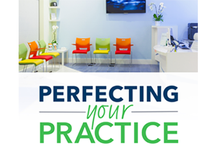 How do you stand out from the crowd & insure your running a successful practice and getting new patients? Most people expect growth, but they don’t plan for it — You have to plan for it. 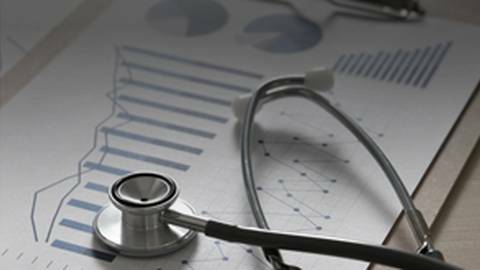 Practitioners could be overwhelmed by the uncertainty in the healthcare space right now. Every time you watch or read the news, there’s a story about healthcare and the economy. As a practice owner, you’re expected to have an effective EMR solution, upgraded technology, staff to handle additional patients, the latest training in your profession, and the ability to adjust to shrinking and non-paid reimbursements. All of this takes money. So you’re asking yourself, how can I make more money to do all of these things? And at the same time attract more patients. Its true for any business, you have to invest money to make money. You’re being asked to do more, and you have to find ways to see more patients. Where is the time in the day? Well, one way is through marketing. “I’m not a marketer, “ you may say, and that’s ok. You don’t need to be an expert, and you don’t need a big budget. In fact — I’m going to give you 4 simple tips that you can use to boost practice marketing, without costing you a fortune. My two-and-a-half-year-old twin boys refer to their grandfather as ‘Pawpaw the dinosaur,’ why is that? — Because he still has a flip phone. Yes, they still make those and he refuses to get an iPhone. However, for his birthday, bought him an iPad. Because of all the procedures my son has had, my father has become very interested healthcare and uses the iPad to help us find right doctors and procedures. So low and behold, I now get 5 a.m. emails from my father detailing the right procedures and professionals we should be seeing. ‘Pawpaw the dinosaur’ is no longer, he’s moved with the population to becoming more ‘tech-savvy’. All of this means you’ve got to focus on the digital side. Number one — have a great website. Being digital is critical today, and if you don’t have a user friendly website, you’re missing a key vehicle in driving patients to your practice. This is your digital storefront, no longer can people just walk by and hear word of mouth = about your practice. You need a user friendly, mobile friendly website that is easy to navigate and can convey information in an easy to use manner. Number Two — use email. As a society, were addicted to our phones and are on them constantly. Email can be a lot cheaper than traditional mail, saving on printing, postage, and staff costs by putting a focus on digital. Think about what can be useful and meaningful to patients to receive — appointment reminders, happy birthday wishes, health tips, office news, promotions, etc. keeping them informed will help them feel empowered and engaged. This is a key tool to your success — use it wisely. Number Three — Leverage Google Ad words, this is where you may want to leverage an expert. Now, admittedly am not an expert in Google Ad words, I know its hard to believe. But I do have a team under me who specializes in this medium. Find a partner to fill that role. Google serves paid ads in its search results, now I know what you’re thinking, “what the heck is P.P.C.? I don’t know any of this stuff.” If you go to Google, most of us do multiple times a day and type something in, usually the first, two to three links are paid search. There are companies that pay to show up first on search, usually there is a highlighted color around them, everything else below that is organic. You really have to sit down and identify relevant keywords, you write ad copy, and manage your budget within Google accounts. When your ads show up in relevant searches, users can click on your website, these ads can be very direct, cost-effective way of reaching your potential patients. Those results don’t show up because they’re lucky, they pay and have experts in to help. You can also geo-target. I know what you’re thinking, “I live in Canastota, New York, the last thing I want to promote my services to people in NYC.” God knows what your traffic would look like and it would make your budget go rouge. With Geo targeting you can be sure your ads only appear within a certain range of your practice, so you’re only advertising to users in that distance. In addition, if you have multiple practices, you can ensure the closest practice is appearing for the user. Your budget controls your reach and impact. Number 4 — Don’t hide from social media. I’m not just talking about having a Facebook page, Twitter account or LinkedIn. I’m talking about Facebook advertising, Facebook ads are cheap and customizable, and can target based on factors like age, likes and geography. Sit and think about who your patients are, or who you want them to be. Make sure you’re offering is inline with who you want to message to. Make sure your offers and services are geared to who would take the process. Do you offer services to patients who have hip or knee problems? Your ads should speak to them; make sure they’re relevant. Ads are also trackable, so you can gauge your budget accordingly to what works or doesn’t. The bottom line is that if your practice has a Facebook page and if you’re posting things regularly, it’s not enough. You need to advertise. Only about 5% of your total audience sees your posts according to Facebook itself, so you need to boost your posts or buy adds to get mores eye on them. By investing in marketing initiatives you can help build awareness for your practice and services. And give patients and consumers good reasons to come into your practice. Still not convinced? Google some of your local competition and see what comes up, you’ll quickly see who’s winning the digital marketing game and its impact on a practice. Marketing must be consistent, measured and refined to be successful. You have to test, be comfortable with failure, and have budget. Test and refine repeatedly. Don’t expect immediate results, as marketing is a process, trust me I know. I recommend starting small so you can save the bigger budget for what to feel most confident in for a return. Have a good idea of what you want in the end to see a profit and positive ROI. There we go, if you’re looking to acquire more patients and grow your bottom line, you need to get comfortable with marketing, it takes time money and persistence, but I know you can do it. 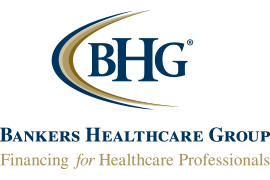 To continue the conversation, please reach out to me at chrisp@bhg-inc.com or connect with me on LinkedIn. How do you stand out from the crowd and ensure you’re running a successful practice and getting new patients? One great way is through marketing. How do you stand out from the crowd and ensure you’re running a successful practice and getting new patients? Most people simply expect growth, but you have to plan for it. It’s true for any business — you have to invest money to make money. As a medical professional, you’re being asked to do more, and find ways to see more patients, where is the time in the day to do that? One way is through marketing.